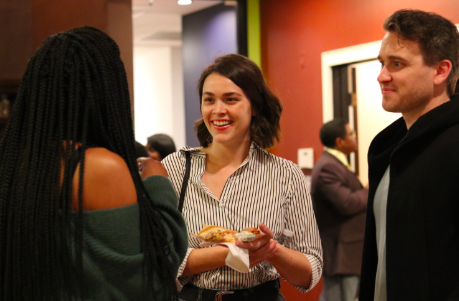 The Denton Black Film Festival has launched a space for both aspiring and established creatives to connect with one another, expand their artistic skillsets and transform into the next generation of film talent. The DBFF Institute will serve as year-round clearinghouse for creatives in the Dallas-Fort Worth area, Texas and the Southwest, nurturing, inspiring and fostering the development of current and future diverse storytellers via information, educational and interactive workshops, salons and seminars. Learn more. 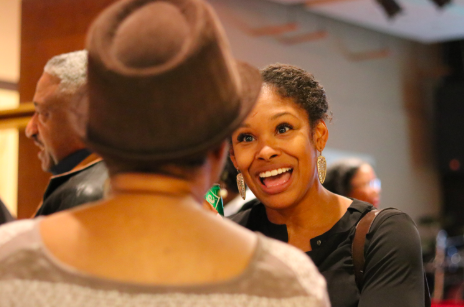 The DBFF Institute is launching at the 5th annual Denton Black Film Festival with the mission to serve as a year-round clearinghouse for creatives in the Dallas-Fort Worth area, Texas and the Southwest, nurturing, inspiring and fostering the development of current and future diverse storytellers. The Institute will provide experienced and aspiring filmmakers information, educational and interactive workshops and seminars during the festival and throughout the year. – Provide year-round programming to assist filmmakers and all those affiliated with the creative process – script writers, screenplay writers, cinematographers, producers and directors. – Serve as a forum for creatives to exchange ideas, brainstorm, collaborate and find opportunities. – Establish partnerships with industry partners to support these creatives in all aspects of the process. – Showcase talent, expertise and technology to further the craft of filmmaking. * A Young Filmmaker Focus Group with facilitators from Ghetto Film School in New York. For more information about the DBFF Institute, visit www.DentonBFF.com or contact Neil Foote, Foote Communications at neil@neilfoote.com, 214-448-3765. Th DBFF Institute is essential to help foster a community of creatives who are all around us. These individuals are driven to write, script, produce, shoot, edit and distribute stories that reflect people, events and institutions in the communities in which they live. These individuals produce work that sometimes reflect the harsh reality of life, death and dying. They sometime capture the imagination and fantasy of worlds yet to be found. What all these creatives want and need is knowledge, skill and resources – financial and human. They need money access to money to buy or lease cameras, lighting and software or hire actors or rent venues. They need access to people who can help them produce, shoot, edit and distribute their films. They need a community where they can find the support, the inspiration and tools to succeed. The DBFF Institute relies on the financial support of the lovers of the cultural arts who, like us, profoundly believe that it is vitally necessary to preserve, share and invest in storytellers looking to create, produce and share stories about their communities, their culture and their heritage. It will seek out partners who recognize that culture is the essential fabric that strengthens the world around us. Join us each January for the annual Denton Black Festival, which features amazing networking events, panels and workshops for filmmakers and creatives. Throughout the year, we’ll also host other workshops and panels for filmmakers. Check back for details about the latest happenings for the new DBFF Institute. 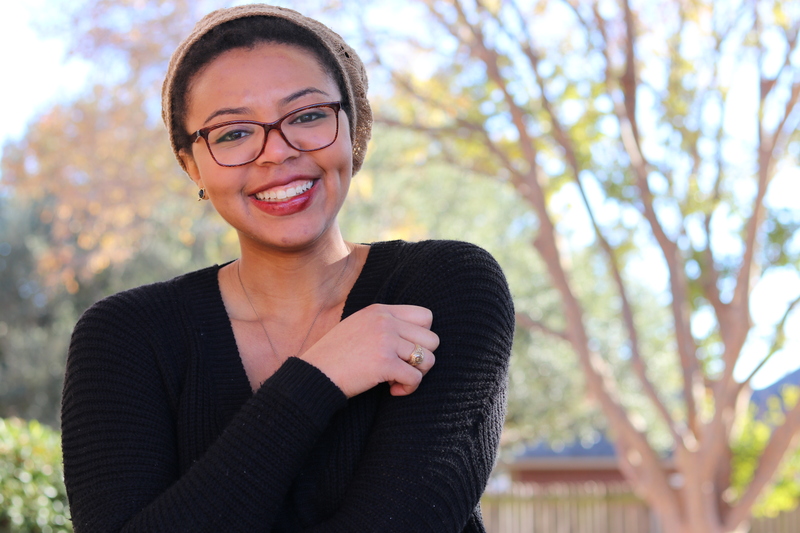 Agatha Beins is the assistant director of the Denton Black Film Festival Institute and an associate professor in the Department of Multicultural Women’s and Gender Studies at Texas Woman’s University. She received her PhD in Women’s and Gender Studies from Rutgers University, an MFA in Creative Writing from Eastern Washington University, and an MA in Women’s Studies from the University of Arizona. Her research interests also include print and material cultures, cultural studies, art and activism, pedagogy, the histories of feminism and women’s studies, and feminist geography, and you can read more about these topics in her book Liberation in Print: Feminist Periodicals and Social Movement Identity (University of Georgia Press, 2017). She is also editor of the online, open-access journal Films for the Feminist Classroom, which publishes film reviews, interviews, lesson plans, and short essays that explore the value of film and video as pedagogical tools for educators.